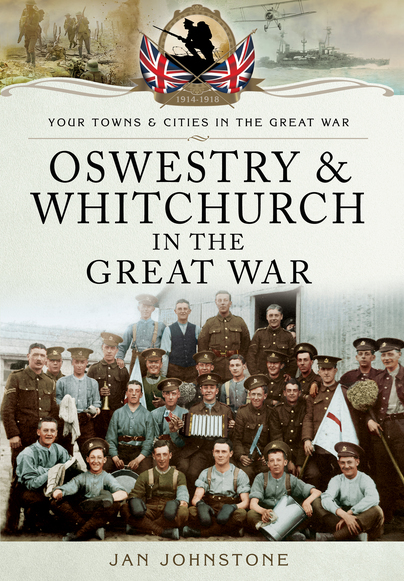 You'll be £5.20 closer to your next £10.00 credit when you purchase Oswestry and Whitchurch in the Great War. What's this? At the outbreak of hostilities, Oswestry and Whitchurch in rural north Shropshire were busy market towns that depended largely on agriculture for a living and justly famed for butter and cheese production. Within weeks of Lord Kitchener’s impassioned call for volunteers, scores of local men, many employed in farm work, had accepted the king’s shilling and travelled to training camps, some never to return. Those left behind were soon experiencing changes, as rules and regulations were swiftly implemented by the Defence of the Realm Act. Food shortages became apparent, rationing was introduced, private houses were turned into auxiliary hospitals, Belgium refugees arrived, and lighting restrictions came into force. Shortages of men resulted in women taking on the men’s tasks; they coped very successfully, leading to lasting changes in attitude. Two of the biggest training camps in the country – Park Hall, Oswestry and Prees Heath, Whitchurch – were constructed on land just a few miles distant from the town’s boundaries, and people had to learn quickly to cope with a massive influx of soldiers. Photographs illustrating the building of one of the camps have been included in this book, to demonstrate just how much was achieved in such a short period of time. 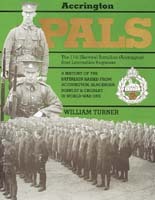 Using information and illustrations gleaned from various sources, this book endeavours to paint a true picture of what life was like on the Home Front throughout the conflict, and hopes to keep alive the memory of the men who fought in the war and the women and children who remained at home anxiously waiting for their loved ones to return. Janet Johnstone lives in Shropshire. She is interested in social history and has had numerous articles on the subject published in historical magazines. Collectables and antiques are another interest on which she has been published together with short stories in various magazines.